KUALA LUMPUR, 19 May 2017: Moët & Chandon, the world’s most renowned champagne is hosting the biggest global celebration of #moetmoment with Moet Party Day 2017. This single-day celebration will be launched in more than 80 countries to celebrate THE NOW and the Moët lifestyle- where every moment is a celebration. Champagne aficionados are called to revel in a full day of quintessentially Moët Moments on 17 June, 2017. Moët Party Day is tailor-made to share savoir-fête or Moët & Chandon’s legendary sense of celebration. Moët & Chandon has been spreading savoir-fête, which it has pioneered for more than 270 years. Moët Fit: Moët & Chandon is offering an energizing and unforgettable experience for Moët lovers to gather at Flycycle to kick-start Moët Party Day. Invited guests will be treated to Moët & Chandon Imperial after a sweat-fuelling Flycycle session. Moët Exclusive: Consumers who purchase any two bottles of Moët & Chandon 75cl or any mini Moët 4x20cl gift packs at participating outlets will receive free photo personalisation and the opportunity to win exclusive Moët gifts. Moët Feast: Moët & Chandon champagnes have graced the finest tables since the days of Napolean. Guests can treat themselves to an exclusive gourmet experience with Moët Champagne the entire month of June in selected outlets. On 17 June 2017, guests will be entitled to Moët Party Day specials with any Moët & Chandon bottle purchase. Moët Play: An exclusive invite-only affair for society’s elite movers and shakers, at a unique venue on 17th June 2017. Tune in to Moët Malaysia’s Facebook page to watch a live-feed of the party. Moët Beats: Moët & Chandon has always been the champagne of choice for ‘the night makers’ and ‘night birds’ around the globe. To bring Moët Party Day to dazzling close, guests can gather at FUZE Club and Zouk Club from 10pm onwards and party with the cities’ best DJs until the early hours of the morning. Moët Party Day attendees can also take part in a global social media contest and post their best #moetmoment from the day. 10 winners will be chosen as the faces for Moët Party Day 2018 and one very lucky winner will win a trip for two (2) to celebrate the special day at any country of their choice. Moët & Chandon creates memorable moments around the world that are about living life to the fullest. 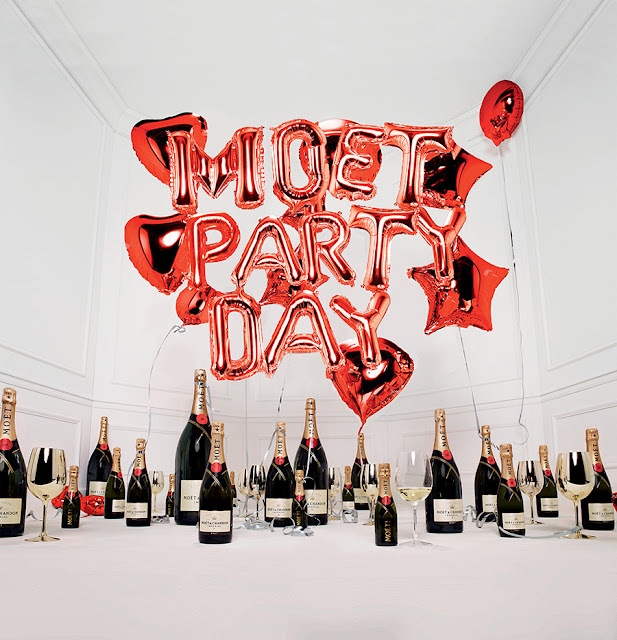 Moët Party Day makes it official, and provides a stylish way to live THE NOW and share our sense of savoir-fête.